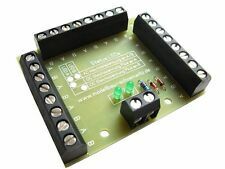 Price is for 1 self adapt power distribution board LightUp Easy ® system. 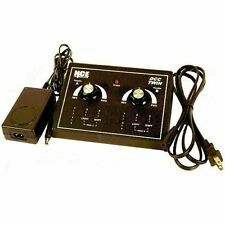 output 3V DC or direct output ( 3V to 24V AC or DC ); output current self adapt;. Not electrician?. short of electrical knowledge?. This is from a train collector. All in working condition. BUT the cables have been cut and spliced. You will need to re-connect or get new cables and wires to make this work properly. For experienced users only! CE MODULE SERT A COMMANDE R AIGUILLAGES ,SIGNAUX,PASSAGE A NIVEAU ET TOUTE SORTE D'ACCESSOIRES. 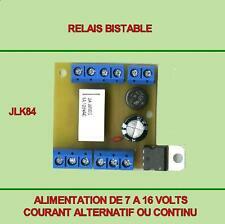 2 Sorties disponibles par module. Module monté et testé. It is untested and sold as seen! % Lionel O / O-27 Trains .. "Lionel ZW 275 Transformer"
Cet interrupteur ON-ON vous servira à changer de polarité votre courant continu. 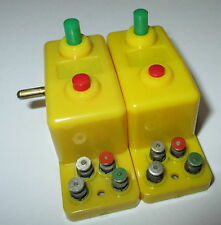 Switchable outputs designed to work with G, HO and N scale train layouts. Steam or Diesel. Has a Power and a Sound section with the following features. Congratulation for choosing ANE MODEL LocoCruiser Standard series decoder. You can use google to search " ANE MODEL " from our official website to get more information. 1. 5 Amp continuous and 2 Amp peak. Kit d'arrêt automatique temporisé,avec ralentissement et démarrage progressifs. 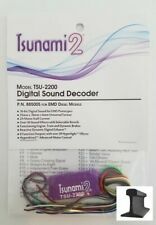 Ho Tsunami Digital Sound Decoder TSU-1000 Medium Steam. Condition is New. Shipped with USPS First Class Package. 1 SET Power Distribution Board. Current carrying capacity per connection: 6A(max). Wires length = 1000mm. Price is for 11 combined wires pre-soldered 2 pins connectors ( male ends only). price is for 11 wires with one end connectors. You may solder these wires to model lights and use them with my power distribution boards. 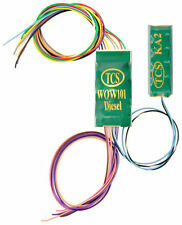 G Scale decoder by TCS. G8 4 to 8AMP 8 functions. I don't do G scale installation any more. I have two of these, plus HO Lenz. BLOC SYSTEME COMPATIBLE TOUTES ECHELLES. TOUTES LES ECHELLES. INTENSITE MAXIMALE:2 AMP. Module monté et testé. Item was taken off an active layout and is in good condition. 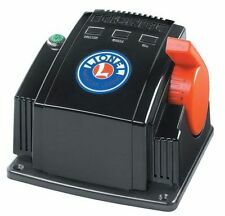 MARKLIN - Märklin INFRARED CONTROLLER. This item is not for children under 15 years. Price is for 5 x male ends with 1000mm wires. Pins' space = 2.0mm. you may use them with my circuit boards. Length of combined lead wires = 1000mm. price is for 5 wires with plugs. 1 Set Power Distribution Board and the accessories,as the first picture shows. One distributor can support 28 lights. But the total output current must be less than input current. Operation with DC, AC or digital current. Congratulation for choosing ANE MODEL LocoCruiser Standard series decoder. 1. 5 Amp continuous and 2 Amp peak. Function output. Function output max. Motor c urrent. 1. 2 "( 2 8 mm) 0.6 " ( 15.5 mm) 0.2 " (. ). 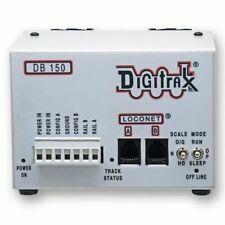 Digitrax LocoMotion. The Digitrax LocoMotion System makes them run like the real thing, too! Digitrax “No Worries” Warranty. Decoder Reset CV with or without speed table reset. Decoder Lock for individual programming of multiple decoders in one loco. Trending at C $28.05eBay determines this price through a machine-learned model of the product's sale prices within the last 90 days. You haven’t heard WOWSound until you’ve heard it through our 28mm High Bass 4W WOWSpeaker! We are an authorized TCS dealer. 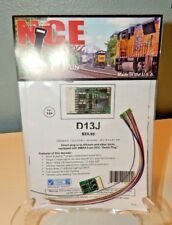 Digitrax MS100 Computer interface with manual. Look! I call it BasicDCC. 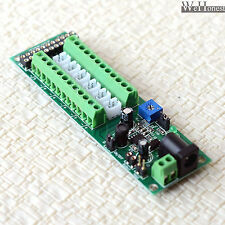 The drive circuit is built around the L298N integrated circuit that easily handles the 3amp. I had 9 locos running with a 3amp source and the L298N was just luke warm after an. It all started as a pet DIY breadboard project to get my DCC locomotives running. Wires length = 500mm. 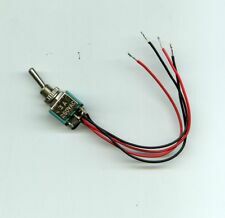 Price is for 1 combined 11 pins pre-solder wires connectors ( male ends only). price is for 1 connectors with wires. You may solder these wires to model lights and use them with my power distribution boards.